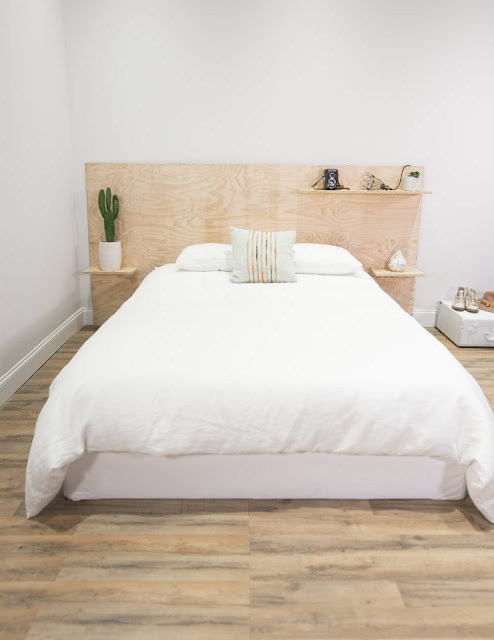 You can never really go wrong with a minimalist look, and it seems that the plywood look has turned into a classic after all these years. It doesn't really seem to be dating itself and if accessorized right, it can be a really great look on a budget. Here are a few that crossed our radar. (Above). 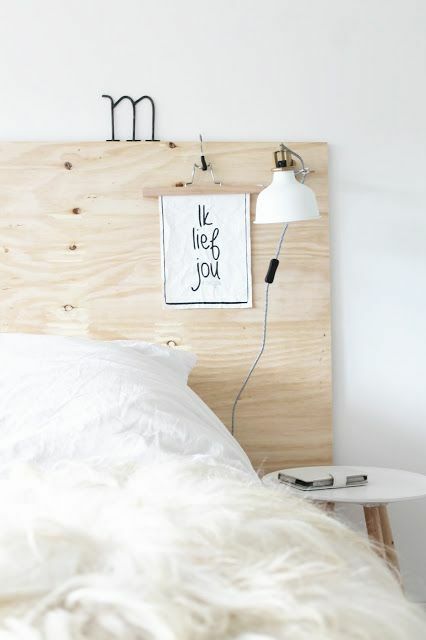 A perfect accessorized headboard from Gravity Home via Roomed. This project from Mr. Kate with three shelves is a nice touch. 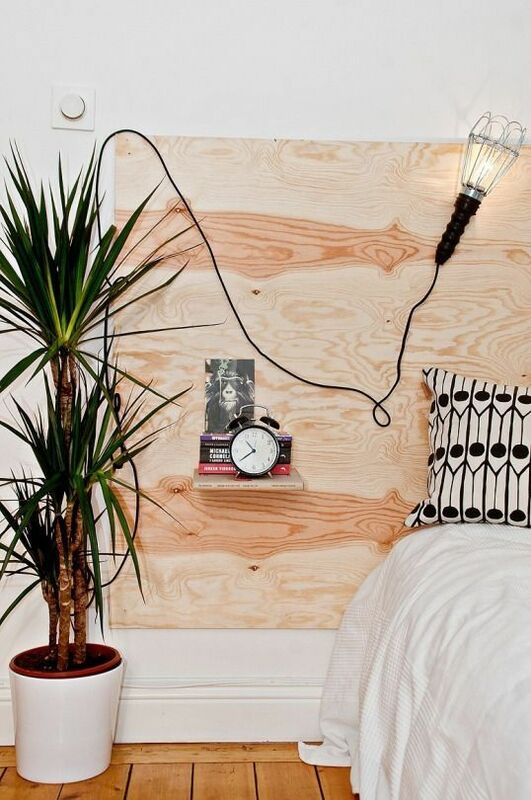 A clever project from Homes to Love. This one with a matching head and foot board is also finished. 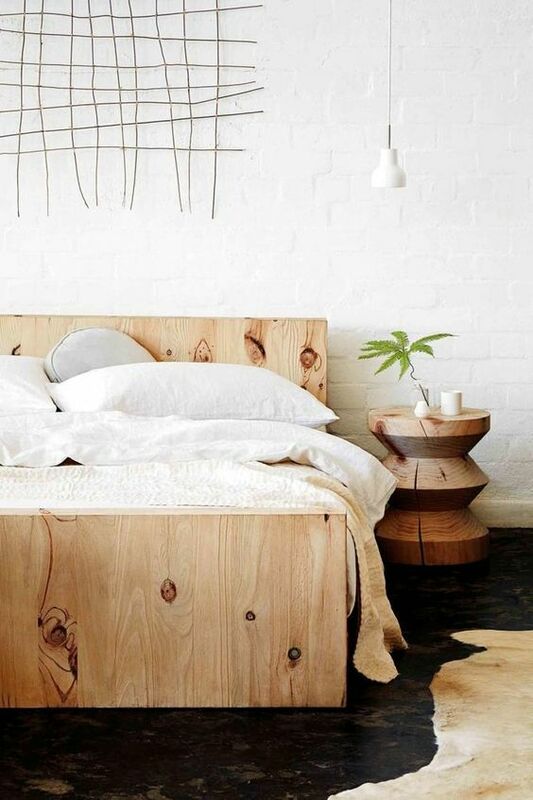 By Mark Tuckey via Inside Out Magazine. A great project if you need a frame too! From The Merrythought. 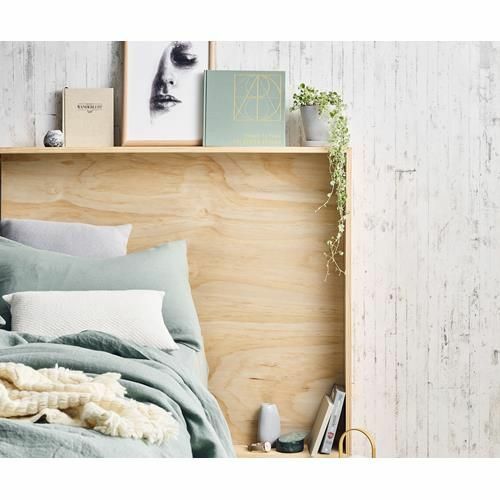 We're not only loving the floating bedside box shelves, but also the colour of this headboard from Piper Winston. 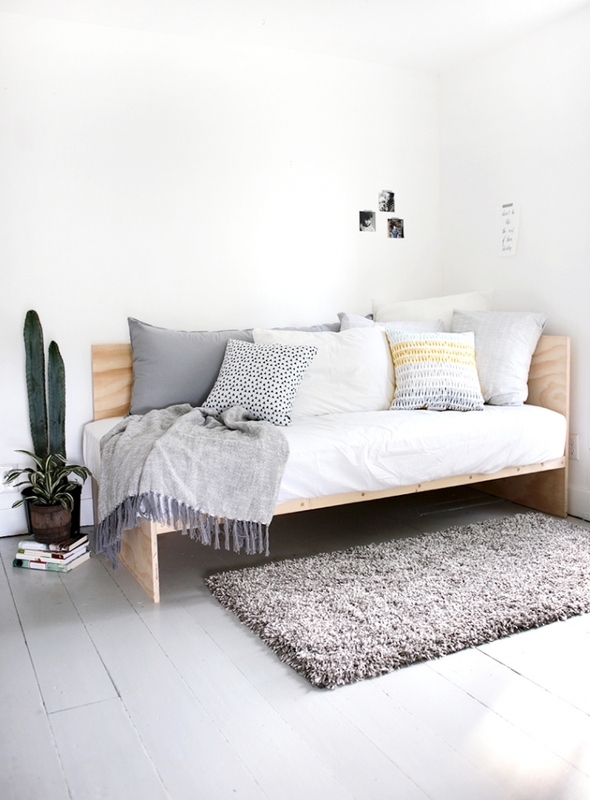 The ladies at The Merrythought made this brilliant daybed, now you can too! Click here for the how-to. Also love how this one is accessorized by Miss Jettle. This is so useful! 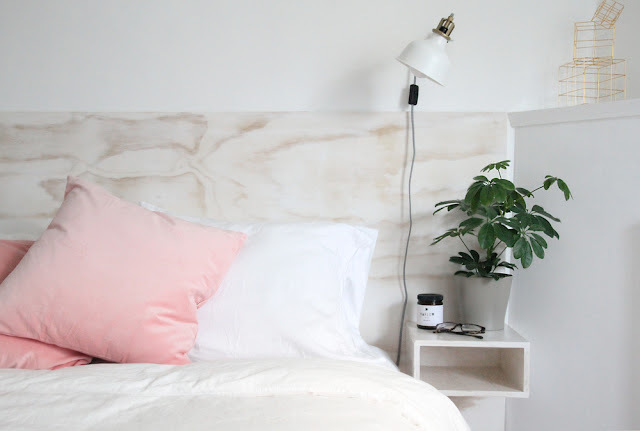 I've been looking for an easy way to add some life to my bedroom and these headboard ideas are just what I needed!